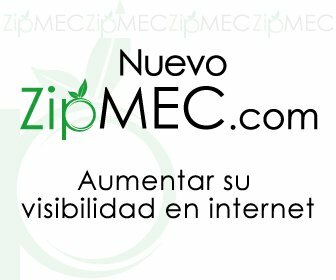 This disclosure has been prepared and customized for the website visitors www.zipmec.com. This document supersedes and replaces in its entirety the document that had been published previously in terms of cookies. Please also note that, to provide a complete service, our site may contain links to other websites, not managed by Edysma sas di Marco Gallerani & C.. Edysma sas di Marco Gallerani & C. is not responsible for errors, contents, cookies, publication of illicit moral content, advertising, banners or files not in accordance with regulations and the Data Protection Law by sites not managed by the Owner. Stakeholders: users of the website www.zipmec.com. Edysma sas di Marco Gallerani & C. as data processing of your personal data for the purposes and effects of Legislative Decree no. 196 of 30 June 2003 (' Code concerning the protection of personal data '), following ' Code of the Privacy ', and Reg. UE 679/16 (hereafter GDPR) hereby informs you that the aforementioned regulation provides for the protection of persons and other subjects regarding the processing of personal data and that such treatment will be based on principles of fairness, legality and transparency and protection of your privacy and your rights. Owner: the owner of the data, according to Law, is Edysma sas di Marco Gallerani & C., Via Emilia 357, 40011 Anzola dell'Emilia (Bologna) in the person of its legal representative. Application of this information: For questions regarding this Statement, please contact First Edysma sas di Marco Gallerani & C. sending an e-mail to privacy[@]zipmec.com. Changes to this: Edysma sas di Marco Gallerani & C. reserves the right to update this policy to adapt it to supervening law, and taking into account the suggestions submitted by employees, customers, partners and users. If changes by Edysma sas di Marco Gallerani & C., you'll see the word 'upgrade' link next to the Information website on the main page of privacy on the main page of www.zipmec.com. In case of substantial changes to 'information Edysma sas di Marco Gallerani & C. publish visibly such changes. More information about the cookies used by the site www.zipmec.com. When you visit this site, they can be introduced into the computer or other device"first party cookies" (generated and used by this site) and also"thirdy party cookies" (generated by third parties on this site). Please note that the discontinuance of certain cookies may limit your ability to use the site and prevent the full benefit of the features and services available. To decide which to accept or reject, we indicate below a description of the cookies used by www.zipmec.com. The system of Google Analytics on this www.zipmec.com was set up to reduce the power of identification and cookies were also disables functions that allow the crossing of information from the third party. With these settings this type of cookie is treated as a cookie technician.